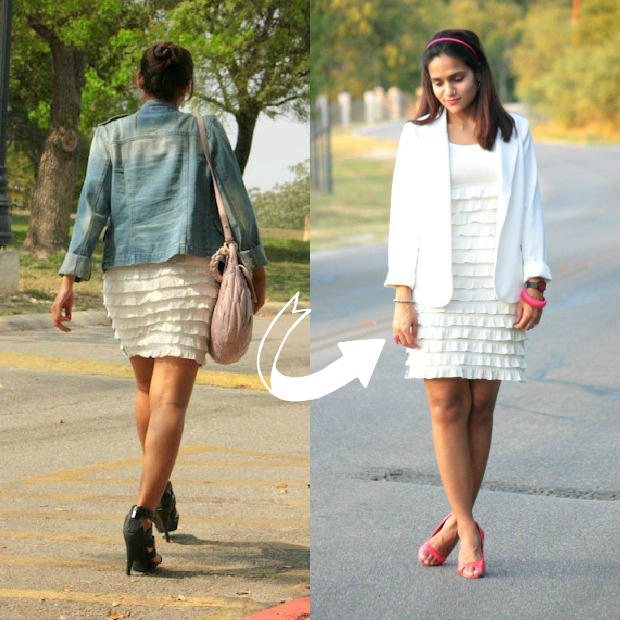 So the dress from last week's outfit post, is worn back-to-front here. If you check the previous posts (linked above), you can see the front is actually a portrait print in the shades of grey. However, since the neck is round I could easily wear it both ways (just had to remove the label-tag from the neckline). Am I smart, or am I smart? ;) I am aware, that I am blowing my own trumpet here! I already have a few more fall/winter outfit ideas to wear this dress backwards. C.A.N.N.O.T.W.A.I.T.